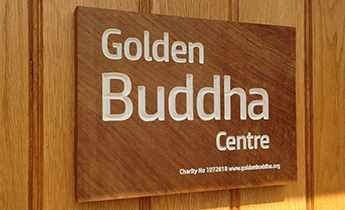 Today Sunday 27th (2.30-4.00pm): Teachings with Theravada monk Ajahn Subhaddo at the Golden Buddha Centre. A Theravada monk of many years in the Ajahn Sumedho lineage, Ajahn Subhaddo who also has a strong background in Zen training, is a unique and established dhamma practitioner. Everybody is welcome to attend all sessions or individual sessions. Session will include a period of sitting meditation, a dhamma talk and a question and answer period, followed by tea. Please bring questions about your own practice or about Buddhism in general. 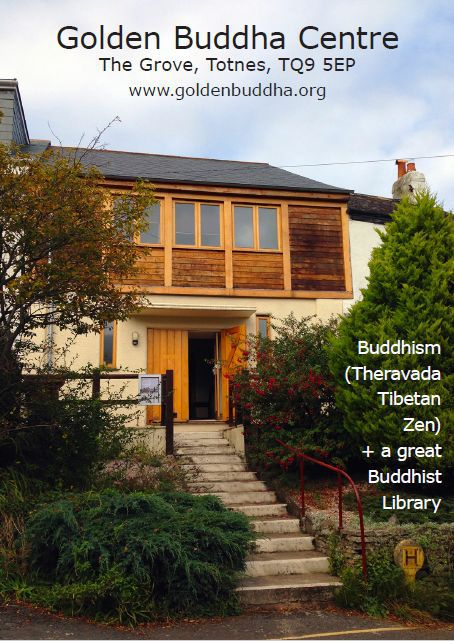 Talks by a Theravada monk at Golden Buddha Centre, Totnes, Devon.